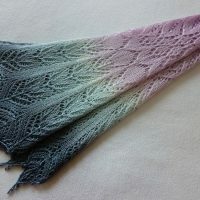 Soft and feminine, this lovely When Sage Blooms shawl is the perfect accessory to add to your spring-summer wardrobe. 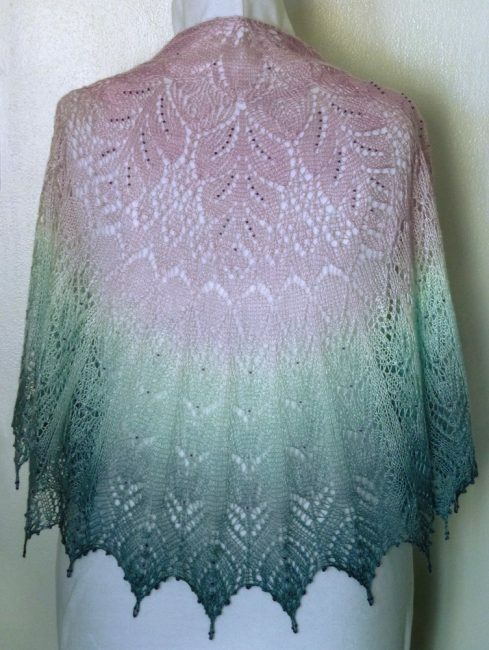 Hand knit in 100% Mulberry silk, its lacy stitch motif, gorgeous lilac-to-sage gradient colorway and beautiful beaded edging are reminiscent of garden sage left to bloom and flourish. This is my first time knitting this pattern and it won’t be my last. 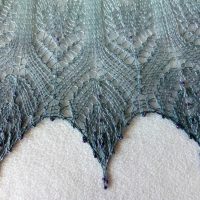 Andrea Jurgrau’s Kodama printed in New Vintage Lace: Knits Inspired By The Past book is a pleasure to knit. 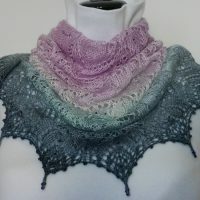 I discovered this modified version of the edge by Ravelry user Arya9 and knew this was the version to knit. I love it. It’s not my colors, so it’s going up in the store, but I’ll be making my own version as soon as my yarn for it gets here. 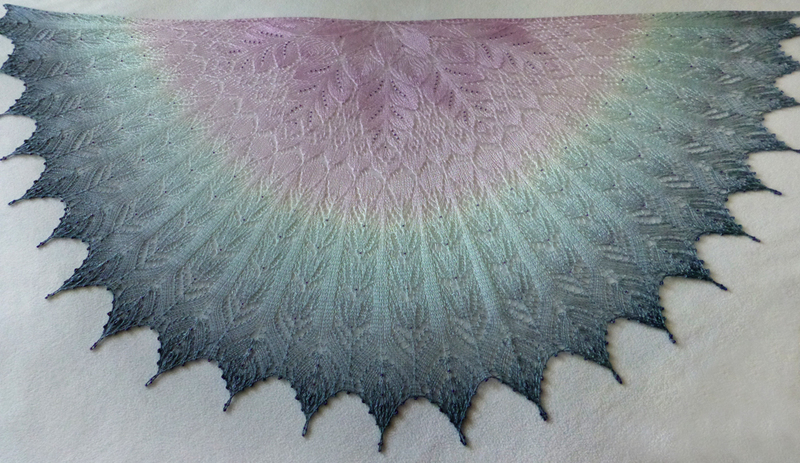 And speaking of yarn, this silk from Natalie Stewart is to die for. It’s like knitting butter it’s so silky and soft. I’m sold on this vendor even if her photos aren’t exactly color correct. I’m content to order just knowing whatever color it turns out to be, it will be gorgeous! Color: Lilac and sage green (bluish-green). Size: One size (S – XL), Measures 60″ wide by 29″ long. 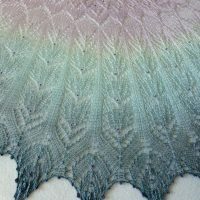 *Special thanks to Andrea Jurgrau (Kodama shawl) for creating such a wonderful pattern and Natalie Stewart Yarns for creating such beautiful yarn.